I so desperately want built-ins in our new basement family room. The storage, the look the organization! They are expensive to have custom made but worth every penny. It will set your home apart from others (perfect for resale) and are just so damn gorgeous! Also functional and permanent! No need to wonder anymore if rearranging your living space would work better. These examples below are heaven sent! Tell me what you think! 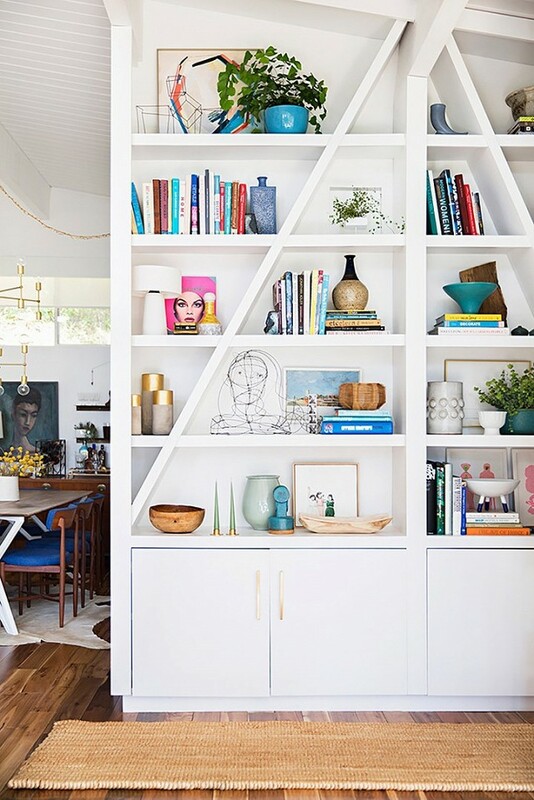 Well styled shelves are so beautiful to look at. Designed by Susana Simonpietri via Home Adore. These above via Sarah Sherman Samuel show you step by step how she did it! So inspiring! 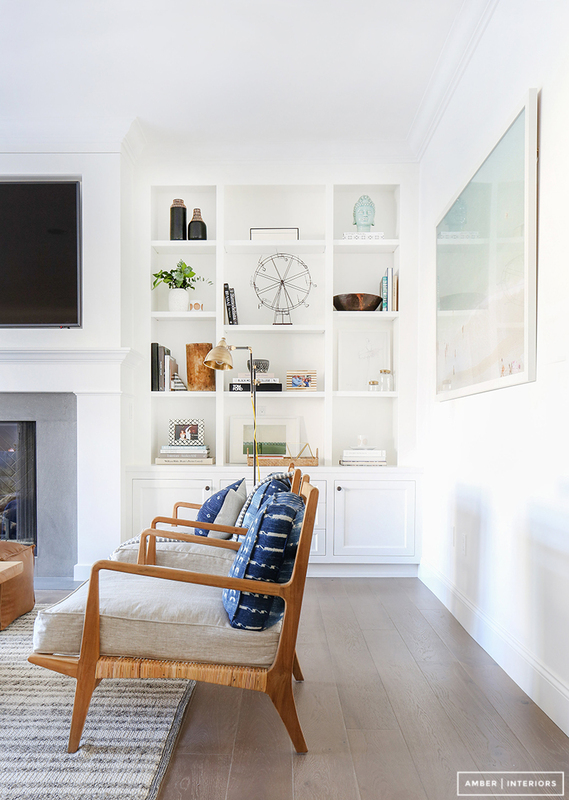 There are many ways you can achieve a custom look using regular old shelves, existing wall units, or if you're handy enough buying the wood yourself. I would definitely do Ikea. Like these Ikea built-ins below. 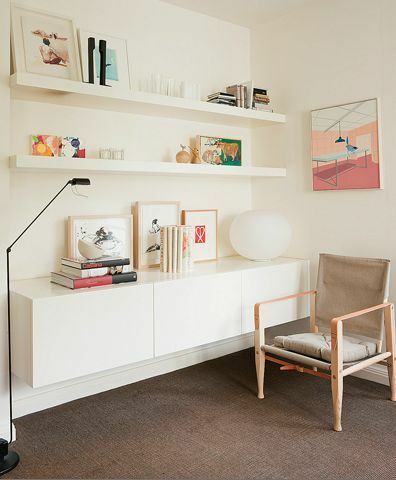 Can't show you shelves without paying homage to the styling shelf queen herself, Emily Henderson. What do you think? These are definitely on my "home wish list" of things to do! I will dive into shelf styling Wednesday because I need that too!